Key 1994 stat: Used all of the tape on his fingers. All of it. 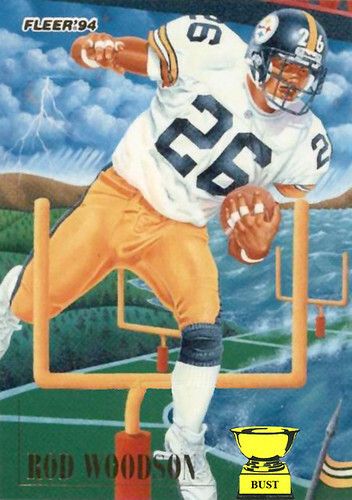 A literal interpretation of this gridiron masterpiece: Rod Woodson and his gigantic bulge run back an interception under a 5-mile-high bridge while hurdling a series of miniature goalposts planted in a series of parallel parking spots as floodwater from a far-off electrical storm threatens the surrounding barren landscape.